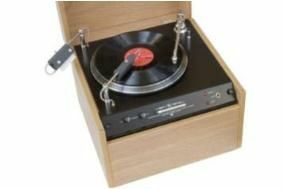 Keith Monks Record Cleaning Machines are back - in style | What Hi-Fi? The new model is the MkVII Omni, which has a unique wash system fully adjustable for all sizes of record. The Omni sells for £2995, and other models range from the Sovereign at £1995 right up to the massive Gemini twin-turntable version at £3995. The machines use custom components throughout, including the discOvery record cleaning brush, and a unique suction nozzle for drying and disc protection. At the heart of the machines is a pump designed to run 24 hours a day if required in professional applications: it's a medical grade unit more usually found in kidney dialysis machines. The machines are available in white or royal blue, or in a new oak cabinet for an extra £100. They're all built at the company's new factory on the Isle of Wight, where Jonathan Monks, son of company founder Keith, has been working to bring the machines back into full production. Jonathan says he's also especially pleased with the development of new discOvery fluids for use with the machine, which have been developed from the original 'recipe' dating back to 1976. The new fluids are claimed to give the best-ever clean from the machines, yet are made entirely from botanicals and other plant extracts, plus distilled water. Keith Monks died in 2005, but the company bearing his name is planning big things: it's about to open a new office in the USA to supply and service machines in North, Central and South America, and next year will launch a 40th anniversary limited edition model.